Wavefront technology measures an optic system (lens, eye) at a multitude of points based on wavefront methods, whereas traditional technologies measure a single point or a just a few points. Wavefront technology is useful in numerous fields. Visionix® pioneered a method to miniaturize this technology, permitting its incorporation in a large group of instruments. 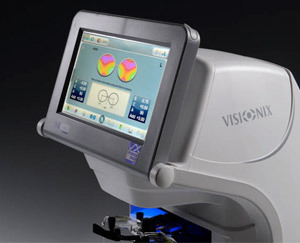 In addition, Visionix® is believes this technology should both accessible and affordable for everyone as it provides unique benefits and exceptional accuracy. Visionix has been an innovator in ophthalmic diagnostics for over 20 years, with more patents in wavefront technology than any other company in the world and over 10,000 wavefront diagnostic instruments installed in the field. The VX130 represents the apex of our technology with its multi-diagnostic system that can give you complete visual analysis in around 90 seconds. 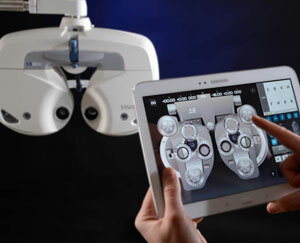 Visionix is here to help keep your practice on the leading edge of technology now and in the future. Creating a network of instruments in your practice that communicate with each other streamlines the workflow of your practice and helps eliminate human error and paper waste. Our Digital Refraction Systems allows the migration from manual to digital be a painless process. 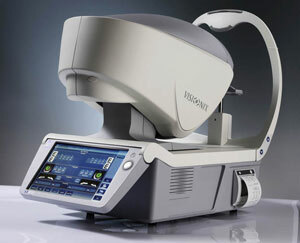 The VX40 Wavefront Lens Analyzer adds a new way to better educate your patients with features like Powermap® Wavefront progressive lens mapping and progressive lens design side-by-side comparison, you can now show your patient the differences in lens designs instead of only explaining them.